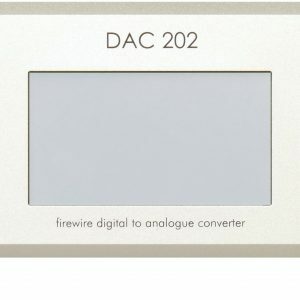 The Young DSD is a very high resolution digital-to-analog converter with extremely high value-for-money, capable of handling PCM up to 384/32 and DSD up to x128. 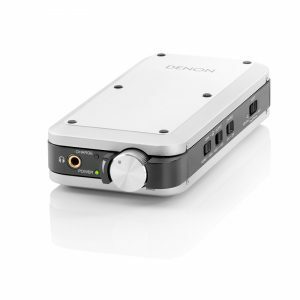 It features an USB Audio Device Class 2 interface to transfer high resolution audio from every computer. 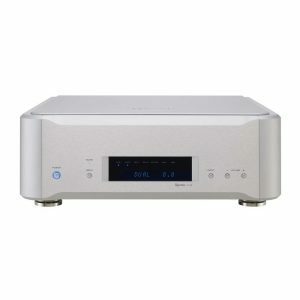 Legacy S/PDIF, AES/EBU and optical inputs are also provided which handle both PCM (up to 192/24) and DSD64. The Young DSD inherits the old Young’s proprietary oversampling scheme for PCM based on a FPGA (field programmable gate array). A 32 bits D/A integrated circuit is used in a non-conventional mode to allow for 705.6/768kHz internal operation in PCM and 5.6448MHz in DSD. 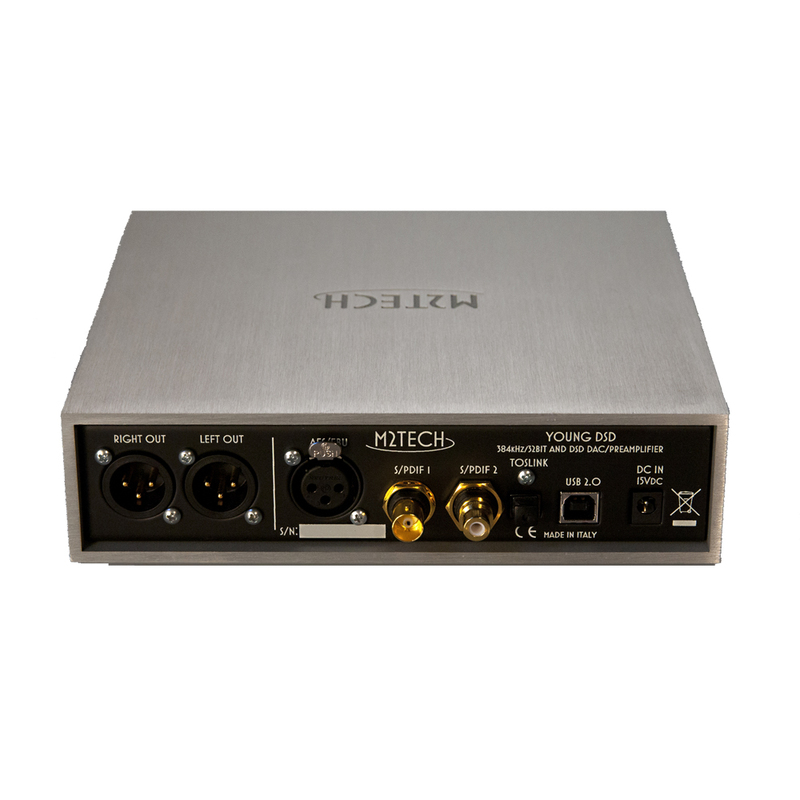 The synergy between the DAC IC and the custom oversampler allows for exceptionally low noise floor and THD. A high resolution analog volume control IC with digital control is used. To avoid inserting too many stages on the signal path which would reduce the sound quality, a unique passive anti-alias filter is used in place of the usual opamp buffer, together with a special current mode offset cancellation circuit which makes I/V converter operate with greater symmetry and lower THD. Output voltage can be set by the user to suit the needs of any device downstream the Young DSD, be it a preamplifier, a high sensitivity solid state power amplifier or a low sensitivity tube power amplifier. 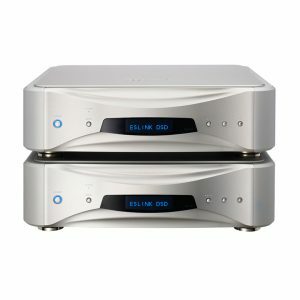 Both balanced and single ended (using the stock adaptors) outputs are available. 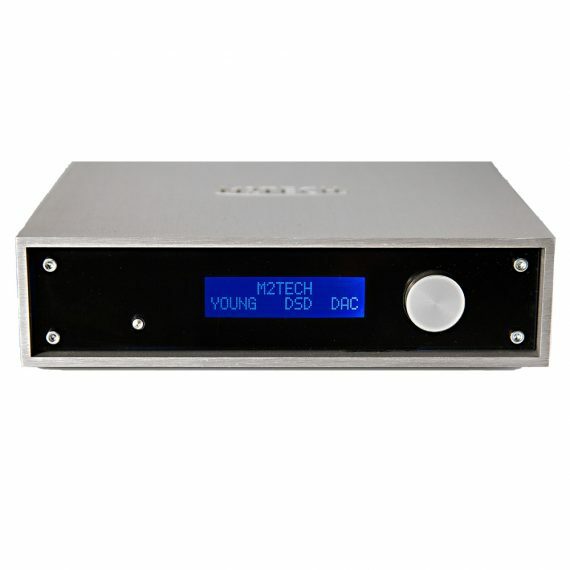 A full-loaded remote control allows user to easily operate the Young DSD from the sweet spot. HID protocol is also enabled over USB, allowing user to control the computer player with the dedicated keys on the remote control.